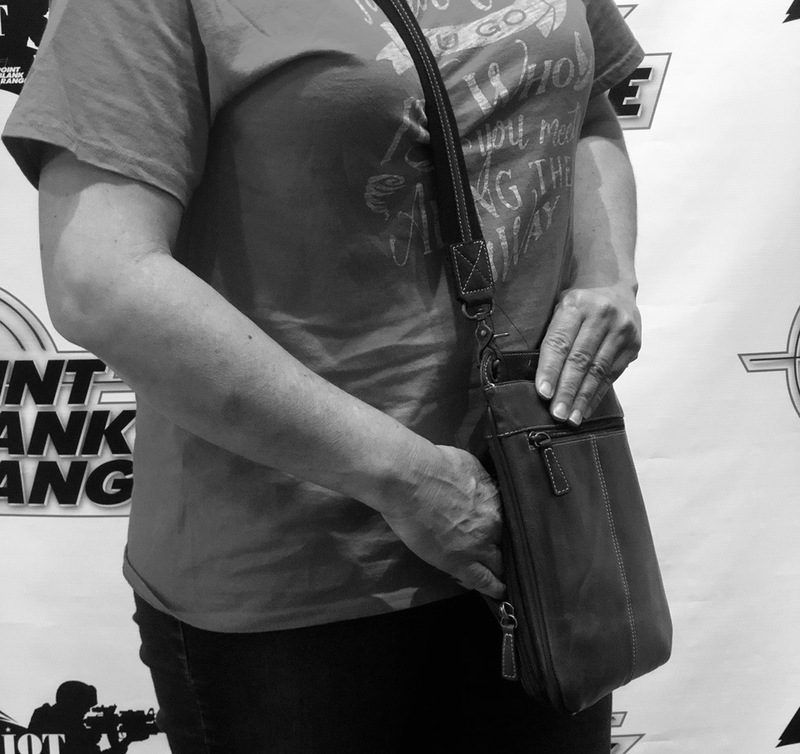 There are several things to look for in a CCW purse. First, make sure it has a compartment made just for a handgun. It’s important to keep keys, pens and other small items away from the trigger guard. Also, if you’re a leftie, make sure the purse has bilateral options so you are able to draw correctly. Find other options to look for in a CCW handbag here in a previous article. 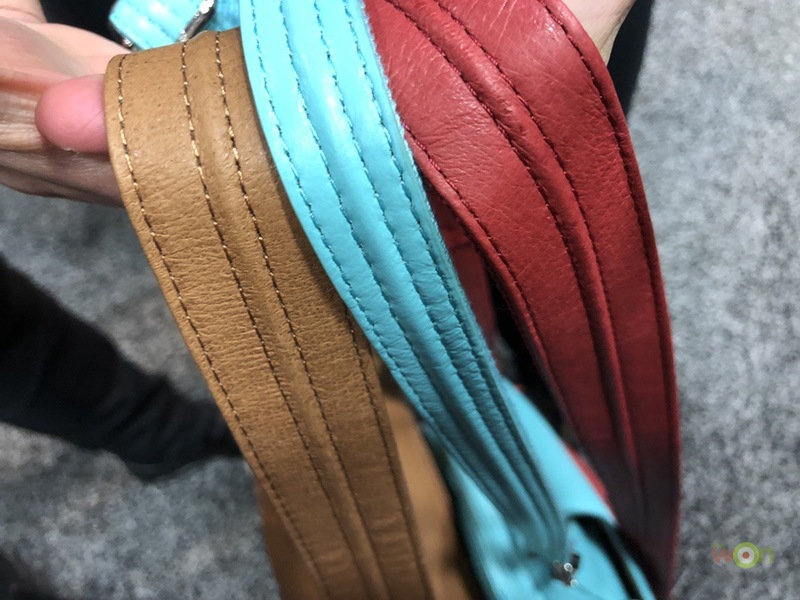 Most CCW handbags have adjustable shoulder straps that need to be set to the correct length. 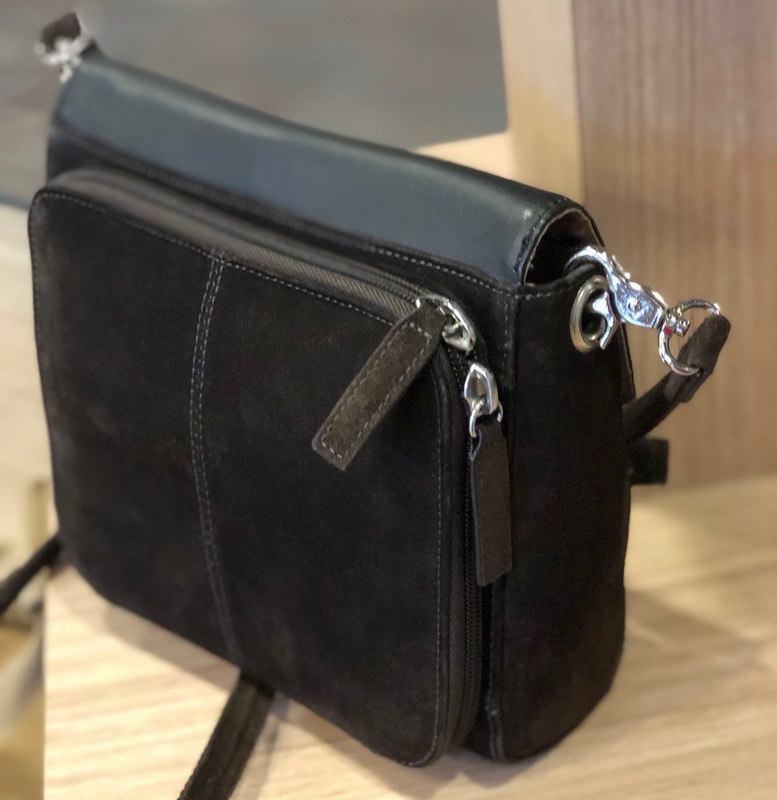 First decide if you want the shoulder strap over 1 shoulder or cross-body. Then, figure out at what height the purse needs to be to allow a smooth draw. Now, set the shoulder straps at that length. Use an empty firearm when working with these adjustments. Most women carry their purses on the same shoulders all the time. I sling mine on my left shoulder and am right-handed. For me, I cross-body draw my pistol from my purse. Those who carry their purses on their strong-side shoulders would draw differently. Each way is viable, but must be practiced numerous times with dry fire. 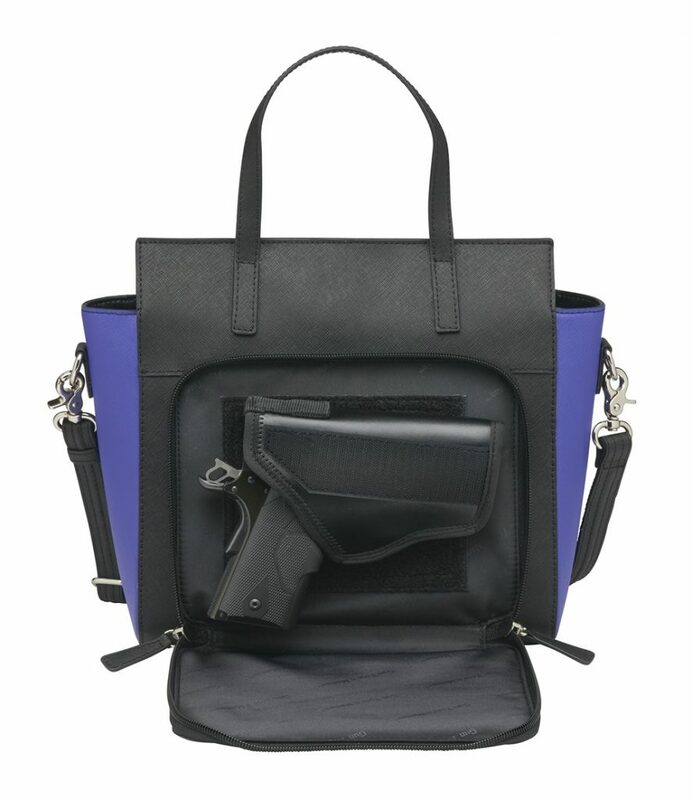 Concealed carry purses usually come with universal holsters. Determine if the gun you plan on carrying will fit in the holster properly, with the trigger covered. Next, angle the holster in a way that is most conducive to your draw. Depending on how the purse is designed, the draw may be from the side or top. Again, use the unloaded firearm that you will carry to make sure that the holster fits properly and is adjusted correctly. 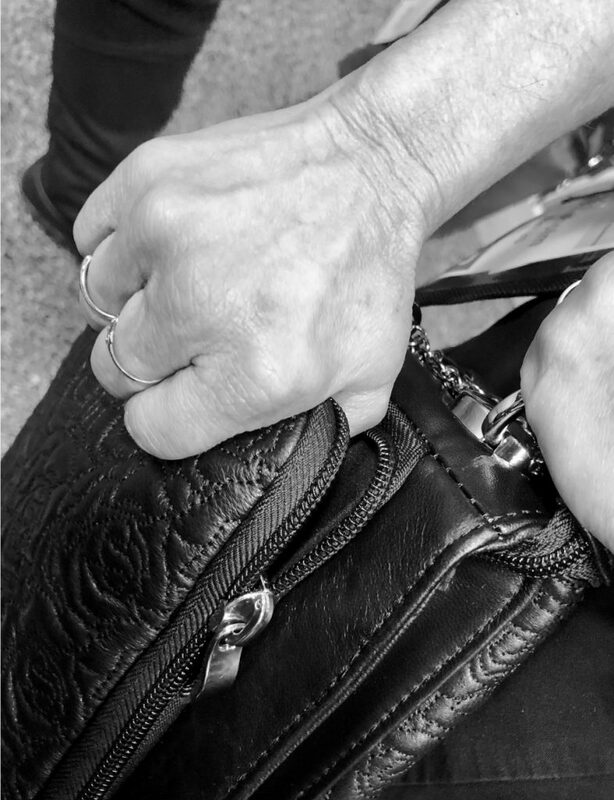 The position of the zipper(s) on a CCW handbag plays an integral part in your draw, since you need to get to the gun quickly. 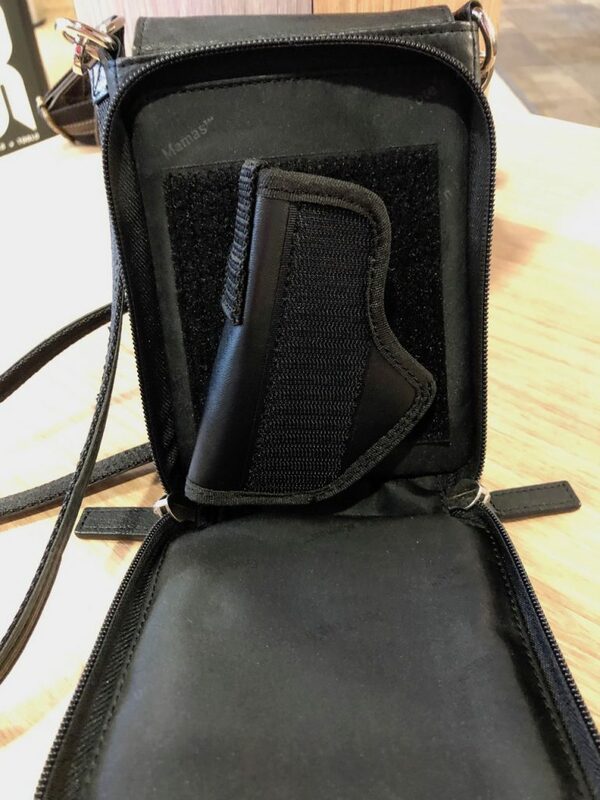 Determine how you are going to open the compartment containing the firearm and set the zipper(s) for the easiest access. You can even rip open the gun compartment with your thumb – without using zipper tabs – if set up correctly. Make that decision and practice, practice, practice (with an empty gun). Like with any type of concealed carry, there is a huge amount of responsibility involved. Know and practice the fundamentals of shooting first. Once you decide carry off-body, practice your draw with dry fire until it becomes a fluid motion. Then, practice live fire at the range.